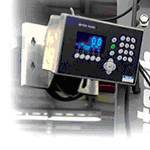 The IND560fill is the latest process weighing scale terminal from Mettler Toledo. It is capable of solving both basic and semi-complex filling and dosing applications and offers OEM and System Integrator companies the ability to deploy high performance solutions with minimal investment. With the application software preinstalled, all you have to do is configure what your specific needs are, i.e. whether your application is filling, dosing or blending. The InSite software tool makes configuration easy and even allows you to simply copy configurations from one terminal to another. The IND560 is designed specifically for companies subject to regulatory controls in the pharmaceutical, chemical, food and beverages industries. It complies with multiple global regulations including UL, CE, NTEP and OIML. With the CalFREE calibration method METTLER TOLEDO offers an alternative calibration method for installations that do not need an approval by a metrological agency. This method is particularly useful for large tanks or silos where it is not practical to use test weights to calibrate the scale. Today’s process automation environment with its legacy of different communication standards requires System Integrators to use equipment that can easily be connected to multiple automation platforms. The IND560 offers direct programmable logic control (PLC) and distributed control system (DCS) connectivity. Process applications need speed. The extremely high A/D conversion and update rate of 366 updates/sec is combined with proven TraxDSP filtering to make sure that you get updated weight information the very moment you need it for your automation process. TraxDSP is a patented combination of multi-stage filters, which filter out background noise and vibration. Thanks to the update rate of more than 300Hz it keeps pace with your process speed, making it ideal for mixing, agitating or dynamic processes. To tolerate environmental hazards, the integrity of the IND560 is assured via IP65 (panel) and IP69K (harsh environment) protection categories. The Embedded Maintenance Technician (EMT) automatically logs zero commands and failures, overloads, load cell outputs, calibration values and checking, diagnostic tests and statistics for ISO compliance. This helps to predict failures, plan maintenance and track operating procedures. Select an analog scale interface for use with any of the METTLER TOLEDO analog bases or Weigh Module systems for the fastest system performance, or match it with an appropriate METTLER TOLEDO K-Line High Precision Scale Base for the highest possible weighing accuracy (to 0.1 g or 0.0002 lb).